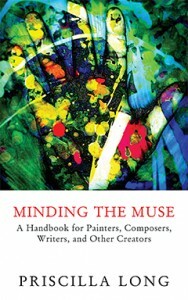 In Minding the Muse: A Handbook for Painters, Composers, Writers, and Other Creators ($13.95, 128 pages, ISBN: 978-1-60381-363-1), Priscilla Long shares her secrets to harnessing the creative gift, increasing productivity, and handling the business aspects of the creative life. Minding the Muse is a practical handbook for the artist or writer—highly experienced, aspiring, or somewhere in between. Long draws from her extensive background as a poet, writer, and master teacher, but also gathers the insights and practices of a wide range of high-achieving artists, including mystery writer Raymond Chandler, choreographer Twyla Tharp, poet and performance artist Patti Smith, and the painter Joan Miró. Beginning with the first sparks of artistic creation—“Gathering, Hoarding, Conceptualizing”—Long moves through the various stages to “Completing Works” and “Poet as Peddler, Painter as Pusher: Marketing.” Every creative worker will find something here to take to heart and into the studio or workroom. Join Priscilla for a reading at Elliott Bay Books on Saturday, October 15, 2016, at 7 p.m. or at Village Books on Friday, October 28. For updates on events, click here. “Priscilla Long’s slim handbook for artists suggests ways to reflect on one’s creativity and so become a more effective creator. It is pithier and more intellectually respectful than recent creativity how-tos like Elizabeth Gilbert’s Big Magic, and old standards like Julia Cameron’s The Artist’s Way.” Read more…. “One hundred and twelve pages of pure creative gold are here for the taking. No matter the form your creative gifts take, there’s something in Minding the Muse that will excite, motivate, clarify, or entertain you.” Read more…. “I found Long’s advice, along with the examples she pulls from other books and studies on creativity, to be reliably fresh and unorthodox. I loved being reminded to strictly cordon my messy drafting stage from the critical revising stage and the gutty purveying stage. I liked her form of telling me flatly what to do without pandering to my ego. I admired her various elegant ways of commanding me to embrace the old-fangled: get back to work, and work hard.[….] The simple fact is that I read these two self-help books and I went sweetly adrift in them [….] and when I came out the other side I felt somehow both richly served and pleasantly on my own again.” Read more…. “This is a relatively small book, fewer than 75 pages, but contains many memorable passages…. In addition to invaluable tips, Long includes helpful questions at the end of each chapter intended to serve as guides for artists to use as they explore their own artistic methods and goals to help you forge new work. On days when the isolation of working in solitude can feel overwhelming, it helps to have the wise and supportive voice of Priscilla Long whispering in your ear that making art is a possibility, and that you, like the many artists quoted in this book, have something to say. Her book will help you say it.” Read more…. “It’s as if Priscilla Long has sat down on the couch beside me, offering all she knows garnered from a long life as a working artist. This is the kind of book I want to put into the hands of all my poet friends and students. It’s a book I believe I’ll be using in my teaching and in my own contemplation about my role as an artist for a long time to come.” Read more …. “Long has done a terrific job of compiling short chapters, rich with fresh quotes from all sorts of creative people. This small but deeply intelligent book contains some savvy messages you’d do well to heed.” Read more…. “A great short book, suitable for all creative types [….] I gained some really cool insights and practices that I will use to help me in my creative endeavors.” Read more…. Priscilla Long is a Seattle-based author and teacher of writing. Her work includes poetry, creative nonfictions, fictions, history, and science. Her other most recent book is Fire and Stone: Where Do We Come From? What Are We? Where Are We Going? Her book of poems is Crossing Over: Poems. She is also author of The Writer’s Portable Mentor: A Guide to Art, Craft, and the Writing Life and the scholarly history book Where the Sun Never Shines: A History of America’s Bloody Coal Industry. For more information, click here. Invitations proliferate; time evaporates. But if you start declining invitations, invitations start declining. You will rightly feel that you are hurting your chances for your work to gain a wider audience. If you want to keep working though, you must set limits. It’s as if an invitation were a chocolate gelato—good in small bites, bad as a stand-in for leafy greens. Determine the number of talks you will give per year, the amount of money you will charge for a talk, the number of pro-bono presentations you will give per year. If money starts coming in, even in moderate sums, consider employing a part-time assistant to help you plan or to just plain help. I’m not famous. Still, on some days I get interrupted so incessantly you’d think I’d won the Nobel Prize in Literature. My best help with this problem of distraction and interruption is my intention to get four uninterrupted hours of work per day. The goal of time on the job—the job being the creative work itself, not teaching, answering email, sending work out, applying for grants, or other related tasks—is what keeps me on course. And make no mistake. I am looking with deep envy at the routine of three morning hours and three afternoon hours set up by Chuck Close (and also by the ultra-prolific Joyce Carol Oates). For now, given my other responsibilities, I am usually getting four hours. My timer is my taskmaster. As your work begins to gain more attention, it’s useful to pay attention to how you want to present it, and to how you want to present yourself in public. As an artist who is visible, what is it that you want to convey? What values do you want others to take away? What do you want to say and what do you want to model about art and about making art? When you serve as a public figure, whether on the radio or in the classroom or in a live performance or at a gallery opening, you stand for art—for the particular form of art you make, as well as for all art. That’s a responsibility. It may be helpful to take a class in acting or in the Alexander Technique, a body alignment practice developed originally for performers. I’ve done both and both helped me overcome my original stage fright. There are improvisation classes, classes in performing, classes in public speaking. Look for model creators, past and present, who are visible in the culture, artists you admire. What can you learn from them by way of comporting yourself as a public figure? One I stand in awe of is Twyla Tharp as interviewed (on YouTube) by Norma Kamali. Check it out (youtu.be/atGJkkzVe54). I’m looking at Tharp’s posture, her thoughtful and erudite responses, her dress, her lack of stuttering and stammering, her sincere and extremely professional presentation and the quintessential brilliance of the content she presents.